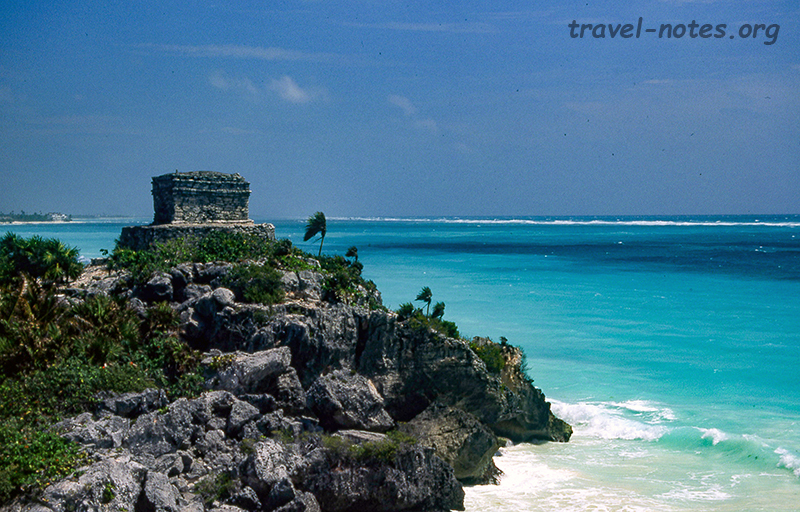 A few hours behind the steering wheel brought us to Tulum, the southern tip of the Mayan Riviera. Its location alone make it (the least impressive of the mayan ruins) one of the most visited. Set atop cliffs overlooking pristine Caribbean beaches, it attracts many day trippers from Cancun making the place resemble Disneyland more than a historic site. Despite the evils, this is still a must do. After being squeezed in and out of the site in an hour, we spent the rest of the day taking a guided trip to the nearby Sian Kaan (which means "where the sky begins" in Mayan) biosphere reserve. Floating down the secluded mangrove forests and witnessing one of the best sunsets in the world came as a welcome break from gaping at centuries old half broken stone edifices. We left for Valladolid via the shortest path, the following morning. This helped us avoid Cancun, crowd and other annoyances and provided an opportunity to knock off one more Mayan jungle ruins - Coba. 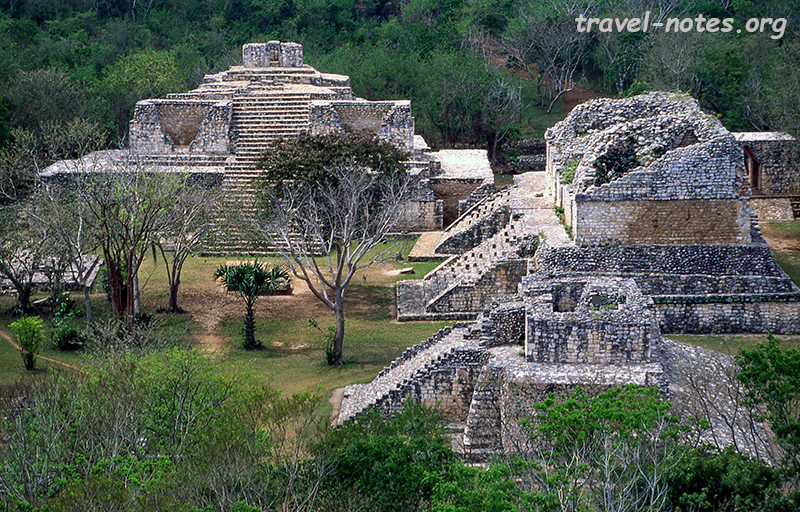 Coba is the home of the tallest pyramid in Mayan land - the 45m tall Nohoch Mul (mayan for "big mound"). The pyramid is located a good 3 km from the entrance. In order to preserve our energy to scale it, we had rented bicycles to reach the pyramid. Unfortunately, only I had enough determination left to climb the 115 steps to the top of the Mayan world. The view from the top was quite rewarding. After a brief stopover at yet another also-built ruins of Ek Balam (Mayan for "black jaguar" - home to one of the best preserved relief in the peninsula), we made our way to the most celebrated ruins of all, Chichen Itza. Due to its proximity to both Cancun and Merida, Chichen Itza attracts more tourists than most other sites and unlike Tulum, it deserves all the attention it gets. Its sheer size and scale can absorb most of the visitors and you can walk around without having to apologise for stepping on someone's toe every 20 seconds. 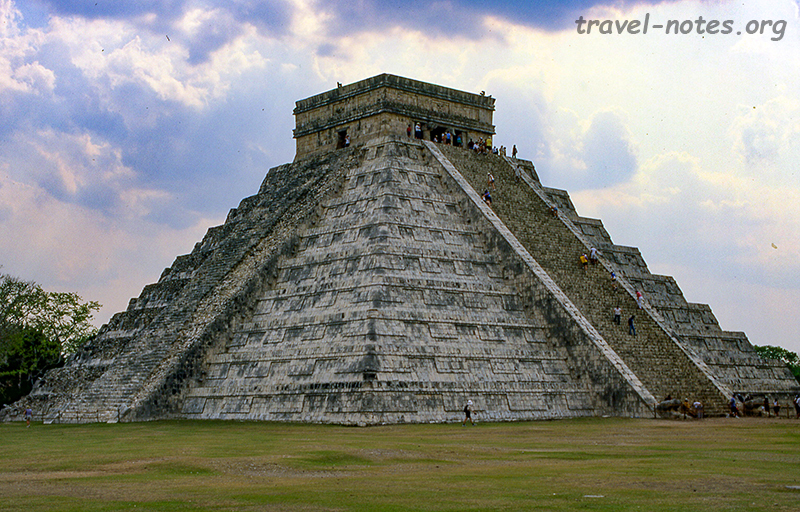 Chichen Itza's El Castillo (the castle) is definitely the most striking of all structures in all of the Mayan ruins. We spent an entire afternoon roaming the site - the longest we had reserved for a single place in an action packed week - waiting for the evening sound and light show. An untimely thunderstorm ensured that it was nature and not man that provided the sound and the light for that night. 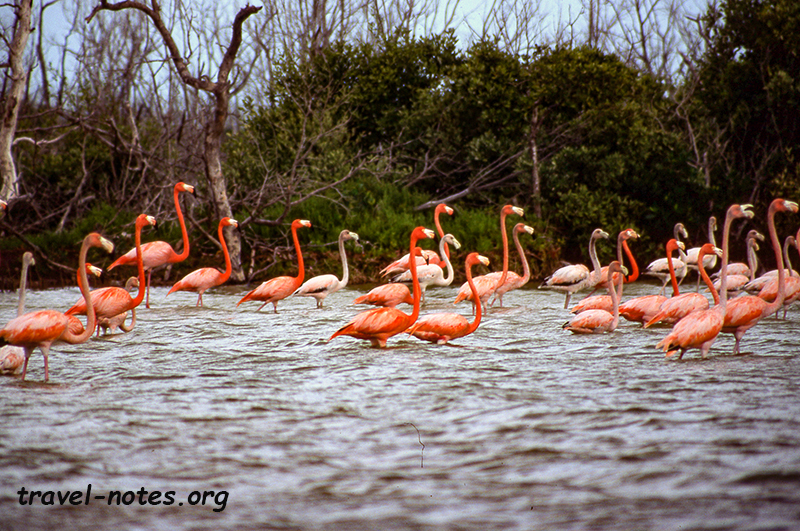 On the final day, we planned to check out the bird watchers paradise of Rio Lagartos, situated about 100 kms from Valladolid. Our trip was almost cut short in half as we got lost in the maze and mess of Tizimin, the only city enroute and the most confusing one on the entire trip. After a bit of searching around, we finally located Diego of Isla Contoy (the guide recommended by Lonely Planet). In the next two hours, Diego transported us to a completely new world of bird safari. It was every bit exotic and exiting as the one in East Africa. For someone who could barely say a turkey from a peacock, I was imparted enough knowledge to differentiate a white heron from a great egret with nonchalant disdain. After postponing the trip a couple of times, we finally managed to visit the Yucatan peninsula and enjoy the Mayan treasures it conceals. It was worth the wait. Definitely. 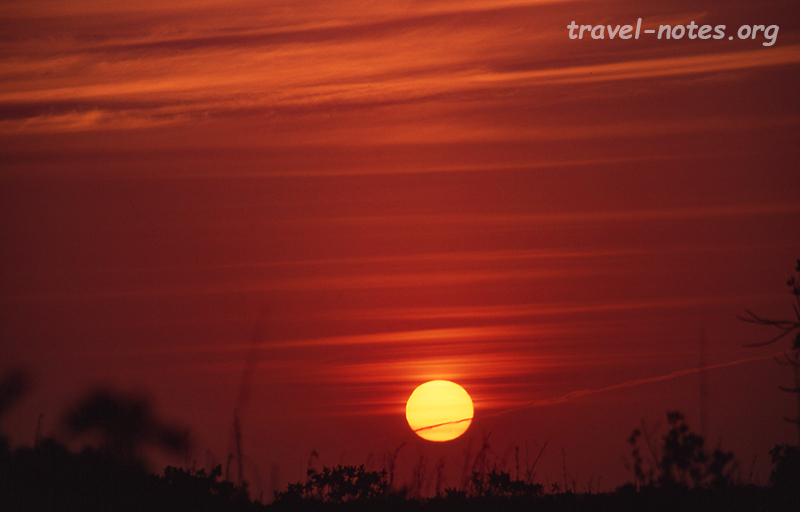 Click here for more photos from Tulum, Coba and Ek Balam. Click here for more photos from Chichen Itza. Click here for more photos from Sian Kaan and Rio Lagartos biosphere reserves.